Home / Franck Biancheri Year / The Franck Biancheri Award 2016 to AEGEE-Cluj was an amazing success! 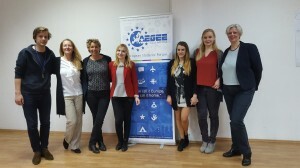 From May 6th to 9th, three prominent members of the AAFB (Friends of Franck Biancheri Association), namely Marianne Ranke-Cormier, Geta Grama-Moldovan and Marie-Hélène Caillol, were very happy to attend this event which resulted from a unique partnership among AAFB, AEGEE-Europe, AEGEE-Cluj and AEGEE-YourVisionForEurope. YourVisionForEurope is a new project initiated by AEGEE-Europe’s current Comité Directeur. 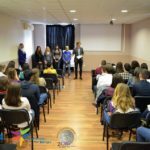 The Cluj-conference was the launch-event of this visionary long-term project. 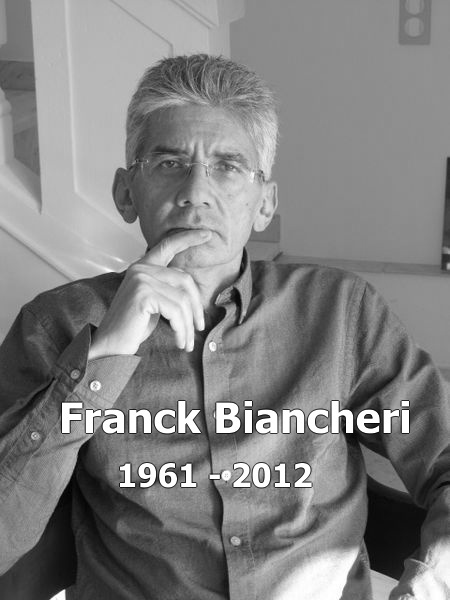 AAFB is proud to have contributed to the inauguration of this project, one very close to Franck Biancheri’s way of thinking and acting. 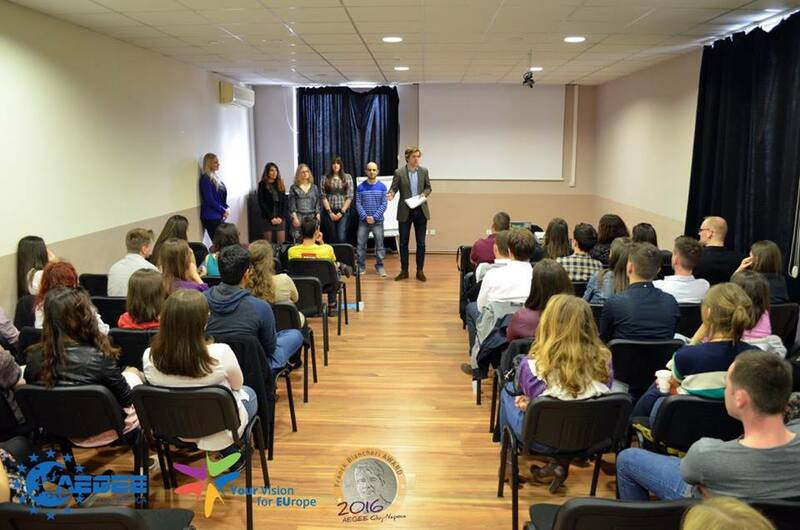 The three-day event gathered around 80 students and was also open to non-AEGEE-member students, who were all invited to discuss the challenges weighing on the European principle of a borderless Europe. The debates took place in a variety of interesting formats, ranging from classical plenary sessions to small groups and training workshops, ultimately bringing out worthwhile ideas and projects. 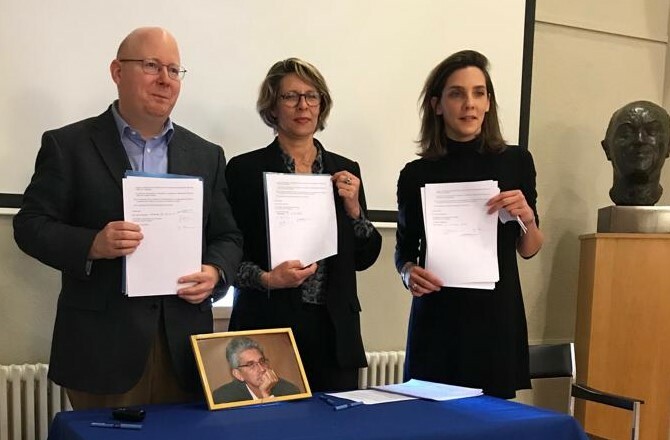 The very elaborate programme of the event widened the concept of « borders » to mental borders as well, still framing European citizens minds and action-capacity. The AAFB members insisted on the following aspects mostly: the challenge for European citizens to prevent a European super-border risking to end up replacing our national borders; the need, nevertheless, to agree on limits to our common space; the role citizens must play in reinventing the concept of border at the age of internet and globalisation; the urgent requirement of inventing and launching a trans-European democracy in order to avoid the set up of a super-state Europe with a super-border, super-police, etc… shutting us all from the world; and the need to bring down the one very last national border which remains in the EU, the political borders where European citizens are trapped as French, German, Hungarian, Italian, Polish, Romanian, Spanish… citizens. Indeed in the face of a growingly threatening world (migration flows, wars, etc…) seen from a growingly closed-up EU, dangers are great to see this super-state Europe take shape instead of what founding-fathers and Franck Biancheri had in mind: an innovative political system, combining competing states into partners sharing common interests, a European community of interests based on the combination of all its nations, serving the interest of its citizens. Geta, Marianne and Marie-Hélène had the pleasure of being offered to speak in the opening and closing ceremonies as well as in both panel sessions.